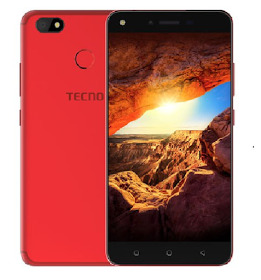 This is yet another device in Tecno's Spark series called Tecno Spark K7. It's a phablet with some low-end specifications and features. It spots a 5.5 inches LCD HD screen display, coupled with just 1GB of RAM + 16GB internal memory, runs on Android 7.0 Nougat straight out of the box with Tecno very own HiOS which is powered by MediaTek chipset. Have a look at the full specs sheet below. – Facebook, Opera Mini, Gmail, YouTube, Calendar, Google Talk, etc. This phone is scheduled to be launched this August 2017. For now, there's no official price for this phone yet but it's said to be very cheap. Take this info with a pinch of salt until when the device is launched. Techno.spark series, for this spec ,the Ram should be at least 2GB, battery too should be better than 3000mah. 1gb of RAM is small, but the phone is still good, thanks for the update. The specs have been well watered down and i can imagine using a phone with 1gb of RAM in this present century. How many phones does tecno intend to release before the year runs out. As for the specs they are Ok, the only down side is the 1gb ram. Techno.. Are trying I give them an applaud of satisfactory, the phone is nice and cool well try to them & thank you Mr admin for the articles. we hoping for more. Thank you. The RAM should have been bigger than that.